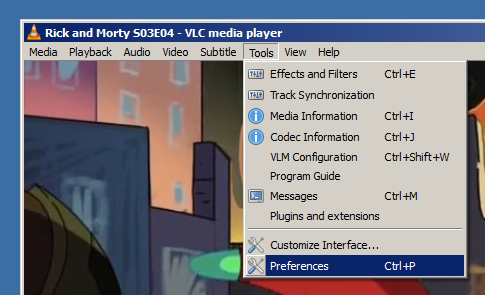 This guide explains how to fix subtitles that show up as weird symbols, boxes, blocks, or question marks in VLC media player. Subtitles not working is a common problem with Chinese, Japanese, Korean and Arabic srt subtitles. If the subtitles are not encoded in unicode UTF-8, VLC does not know how to display them. The easiest way to find out if your subtitles are encoded properly is by opening them in Notepad. The first picture shows a file using Chinese text encoding, and can't be read by Notepad or VLC. The second picture is the same file converted to UTF-8, displaying correctly. You need to convert the subtitles to UTF-8 for them to be readable in VLC. You can easily convert a text file to unicode with the convert to UTF-8 tool. If you are sure the file is encoded in UTF-8 but the subtitles still show up as boxes or weird symbols, you should make sure you are using the right font in VLC. 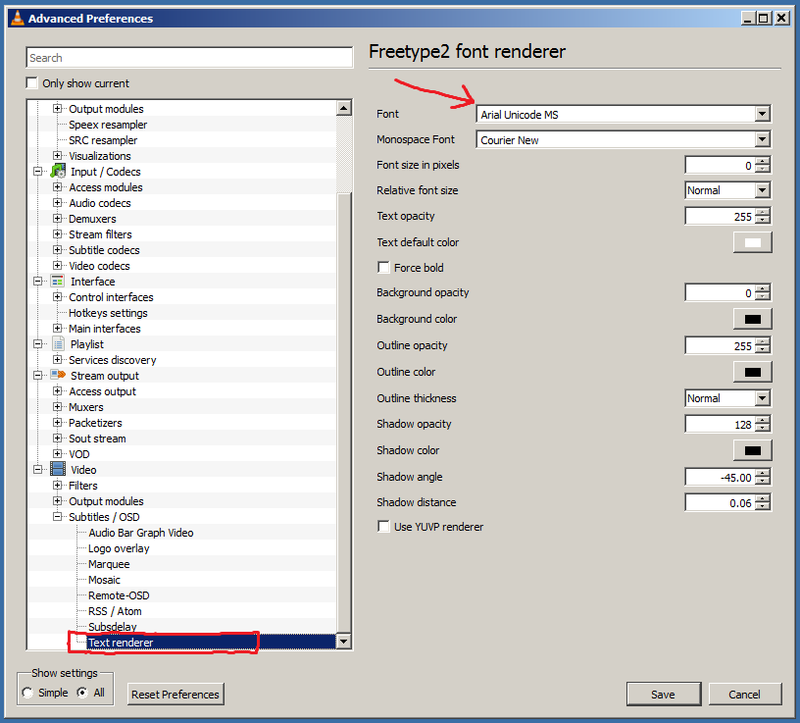 You might need to restart VLC after changing these font settings. VLC is now using a unicode font that can display all Chinese, Korean and Japanese characters correctly. If you are sure your subtitles are encoded in UTF-8, and you are using a unicode font in VLC, but your subtitles still don't work, then the subtitles are most probably broken. You can permanently break subtitles by trying to change the text encoding in a wrong way (like trying to save it with Notepad). If your subtitles still show up as question marks, there is a chance that your file is actually filled with question marks. Your best bet at this point is either to download the subtitles again, or look for other subtitles.